As a poor entrepreneur, I’ve been trying to not spend these past few months. Apologies for promising to post more and then not — simply looking through J.Crew was too much temptation. Still, just over the last month, I’ve managed to have seen a whole slew of things I’m now uncontrollably obsessed with and need to have at all cost. Sigh! Here they are. J.Crew’s 25% off outerwear sale brought me back to the site. I tried to quickly scroll through and conclude nothing looked too tempting, but I literally gasped when I saw this trench. How stunning is this color? The saturation is beautiful, and is topped off by a great contrast between the dark red and the black buttons. I was instantly in love. 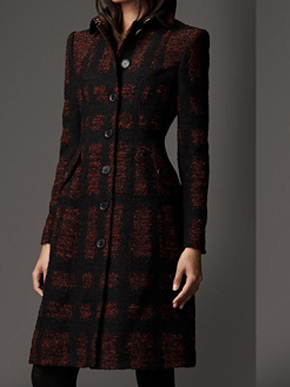 I own last season’s Icon Trench in Wool-Cashmere in a color similar to this year’s Heather Acorn, and the fit is beautiful. I’ve received countless compliments on it, so I knew this one would fit beautifully as well. 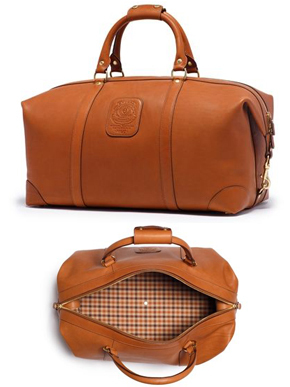 I was dying to have it — went to add to my cart and realized it was sold out in all sizes. I called J.Crew and they said, yup, gone and no chance of restock. What?!?!! 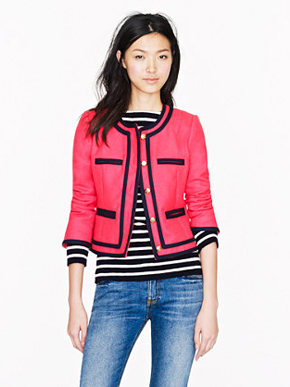 Damn you, J.Crew. Apparently it was released back in August and already snatched up. I was being punished for my self-imposed J.Crew ban. Damn it. If you love this too, let’s all make our daily check-in here. 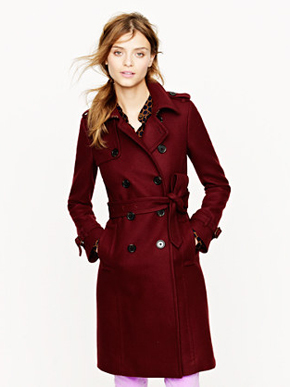 OR maybe I’ll settle for another similarly dark-red (and beautiful) coat from Burberry? Ha, right, it’s only like 6 times the cost. This caught my eye while I was flipping through the J.Crew catalog (yes, might as well embrace my addiction). It definitely has that Chanel-vibe, and I love the contrast between the gold buttons and the dark color. The only thing I hesitate on is I’m not quite envisioning what I’d wear this with in real life, since I’m not the terribly skinny, long-legged chick this model is and I can’t pull off a blazer with just leggings…would it look weird with jeans? What color jeans? I’d have to find an inner shirt long enough to pull off this look. Would it look weird with a skirt? Not sure. Love it in the Berry Pink color below too, and clearly she pulls it off very well with just jeans! I’m obsessed with this watch. 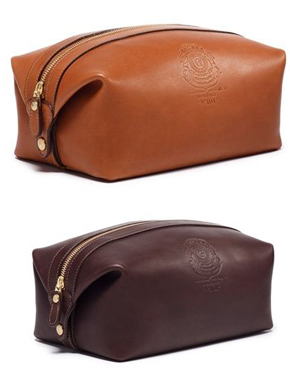 Its normal product photos don’t do it any justice, but it looks AMAZING in this lifestyle shot. 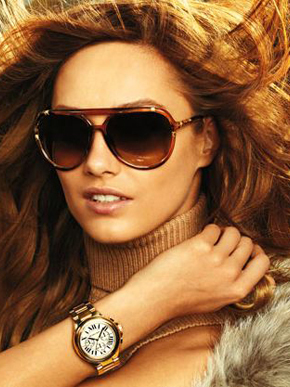 I love that unlike Michael Kors’ typical ubiquitous gold watches, there’s a more demure white watch face that contrasts beautifully with the gold band. Best of all, I love the roman numerals — not just one for the 12 o’clock mark but for all the times. 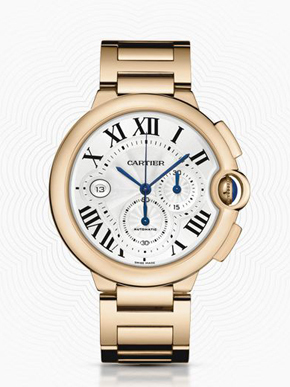 Is my obsession somewhat fueled by my previous obsession with the all-too-similar Cartier Ballon Bleu in Pink Gold (below)? Yes, I’ll admit it. It’s true. But this Cartier watch is like $20,000 — that will never happen, so I will happily, happily settle for this Michael Kors watch. This entry was posted in General, J.Crew. Bookmark the permalink. Are those just simple black leggings with the greay Lady Jacket? Or are they the navy Pixie pants?